Till now only the Google Home could recognise both ‘Hey Google’ and ‘Ok Google’ commands, which were unavailable for use on Android smartphones. Many Android smartphone users have noticed that the Google Assistant can now be invoked using the “Hey Google” hotword. 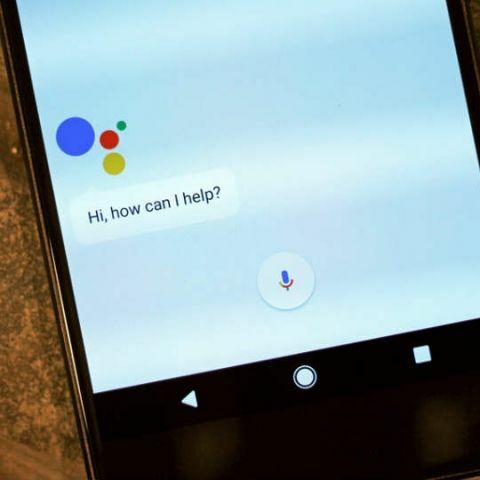 Till now, users could only say “Ok Google” for launching the digital assistant, but some users have reported receiving a notification which asks them to re-train Google Assistant’s voice model with the new hotword. After retraining, the assistant will recognise both "Ok Google" and "Hey Google". Google Home can recognise both the “Hey Google” and “Ok Google” hotwords and the former keyword was previously limited to the device. The company started testing the "Hey Google" hotword for smartphones back in October, but it was limited to select users. Some users were still able to set the new hotword even though they didn’t receive the voice re-training notification. One can do it by navigating to ‘Google’ in their smartphone’s Settings and tapping on ‘Voice’ under the ‘Search’ option. Google also recently announced that the Google Assistant will soon be available for smartphones and tablets running older Android versions. The company said in its blog, “The Google Assistant on Android 5.0 Lollipop has started to roll out into users with the language set to English in the U.S., UK, India, Australia, Canada and Singapore, as well as in Spanish in the U.S., Mexico and Spain. It’s also rolling out to users in Italy, Japan, Germany, Brazil and Korea. Once you get the update and opt-in, you’ll see an Assistant app icon in your “All apps” list.” Google also said that the digital assistant will soon roll out for smartphones running on Android 5.0 Lollipop and Android tablets running Android 7.0 Nougat and Android 6.0.